Clear Lake is known throughout North Iowa as the community with something going on all the time. Fun, unique events are offered all year long. The city is located right off of I-35 in North Central Iowa, halfway between Minneapolis and Des Moines. Several residents reside in Clear Lake all year long, while others opt to reside in this fun lakeside community during the Summer months. Either way, your home in Clear Lake will be one you wish to spend a lot of time at. 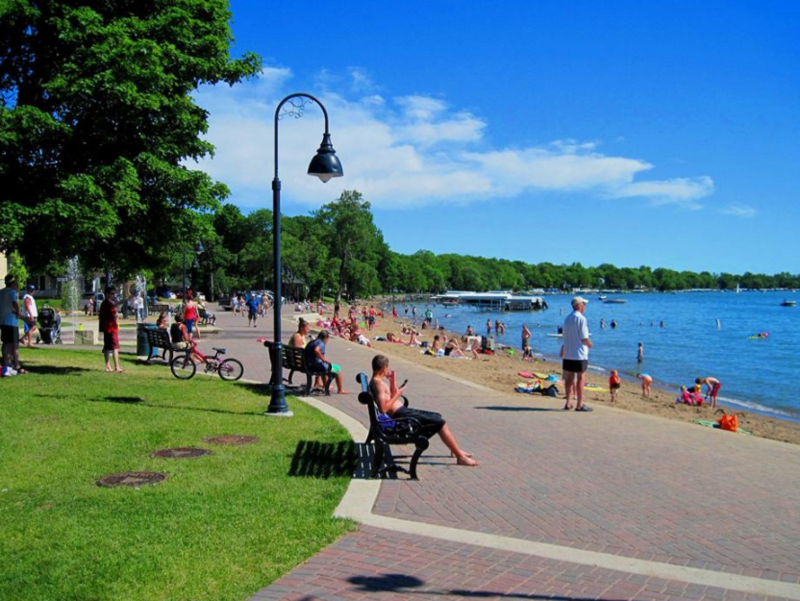 Clear Lake is home to one of midwest’s most recognized 4th of July Celebrations in the state. Thousands gather to celebrate Independence Day with a parade, carnival, family activities, concerts in the park, and fireworks over the lake that are talked about for years to come. The lake itself is what draws many families to Clear Lake. The Lady of the Lake offers public and private cruises, and is easy to get to, as it is located near downtown Clear Lake. The shops and restaurants on main street in Clear Lake are unique and fun. Clear Lake is a community that loves to keep on the go. There is something for everyone. If you choose to kick back and watch the sunset from the porch of your lake front home, by all means, enjoy! Once you invest in a home in Clear Lake, Iowa, you will find yourself enjoying a life that you did not know was possible to find. Those who enjoy time in the outside will find a great home in Clear Lake. The Clear Lake Parks and Recreation department maintains numerous facilities around town. The parks offer a wide variety of amenities, including playgrounds, sand volleyball courts, baseball diamonds, walking trails, and more. City Beach Park is located on the lakefront near downtown and offers ample opportunities for relaxing, swimming, and water sports. McIntosh Woods and Clear Lake State Park offer alternative beach areas. Fishermen of all ages will appreciate the fishing in Clear Lake, as it’s some of the finest in the state of Iowa. Outlet Recreation Complex is a great recreational facility that offers youth athletic fields, walking trails through prairie areas, and a 9-hole disc golf course. Your four legged friend will love the dog park at the complex. Mason City strives itself on providing excellent K-12 educational institutions for its residents. The community is served by Clear Lake Community School District. This public school district operates 4 schools serving children in preschool through grade 12. The schools are Sunset View Preschool (408 Mars Hill Drive), Clear Creek Elementary School (901 South 14th Street), Clear Lake Middle School (1601 3rd Avenue North), and Clear Lake High School (125 North 20th Street). Clear Lake residents have access to many excellent medical facilities within the community and surrounding area. Mercy Family Clinic – Clear Lake (1410 6th Avenue South) offers primary care for residents right in town. For those in need of long term or emergency care, Mercy Medical Center – North Iowa (1000 4th Street Southwest) is located in nearby Mason City. With Interstate 35 running directly through town, it is easy to commute between Clear Lake and the North Iowa region. For those needing to travel beyond the immediate area, the Mason City Municipal Airport (Highway 122, West Mason City) is located directly northeast of the city and offers domestic flights to major midwestern airports.